Thank you so much to our huge fan, OntheUpCycle, who just recently bestowed us with the Versatile Blogger Award! Learn more about the award HERE. You can check out her amazing projects at ontheupcycle.wordpress.com! 1. Display the Award Certificate on your blog. CHECK! 2. Announce your win with a post and thank the blogger who nominated you. CHECK! 3. Present 15 deserving bloggers with the award. SEE BELOW! 4. Link your nominees in the post and let them know of their nomination with a comment. CHECK! 5. Post 7 interesting things about yourself. CHECK! I want to first honour several of our favorite bloggers with the Versatile Blogger Award. Please check out some of these incredible websites as they strive to give the best content and interact with their fellow bloggers with caring dedication. 1. The creative folks at Roylco began this website exactly ONE YEAR ago! We’ve made it so far with the help of our favorite crafty fans who always make us feel like our work is worthwhile. Look forward to this week’s Birthday Post!! Check back for more details! 2. The content for Little Fingers Big Art is written in our Canadian office in Waterloo, Ontario. If you would like to get in touch with us about sponsoring for upcoming arts and crafts events, please drop us a line! 3. Here at Roylco, we have a huge manufacturing plant that assists us in keeping our products domestic, affordable and, above all, high quality. 4. This past year, Roylco hosted a 3 day Summer Art Camp for children ages 3-10. We had a blast with our little crafters who let their creativity shine with our versatile products. Stay tuned every Monday for our special Craft Spotlight posts, where we highlight the best products with detailed videos and high resolution photos of our Art Camp exploits! We’ll be updating with more information about Summer Art Camp 2014! 5. Roylco works closely with local organizations such as art galleries, museums and libraries, AND hosts workshops at Early Learning Centers across the province! To learn more about our support or to book a workshop with us, please send an email to through the contact form. You can also visit THIS PAGE for more information! 6. Our ideas are usually produced in our art room, where bundles of materials and supplies are kept for inspiring new products and crafty creations! 7. Finally, Little Fingers Big Art is climbing the ranks in the Martha Stewart American Made contest–please visit THIS page for more information on how to vote for us! We appreciate any votes we get. Thanks again to On the Upcycle for her award. Happy blogging! Send us your comments, suggestions or questions through the contact form! This entry was posted in Big Ideas, Crafts, Crafts by Bloggers and tagged art, art blog, art education, art teacher, blog, craft blog, education blog, fun facts, little fingers big art, nomination, Roylco, versatile blogger award by roylcoblog. Bookmark the permalink. Hi Roylco! Thank you so much for the nomination! That’s so amazing! Congrats on your award! Thank you for continuing to inspire us! Sorry for the late response. I have been MIA in blog land with family visiting, but I’m back! Thanks again! Thanks for the nice surprise. Made me feel good, while sitting on the sofa with an enormous cold. Congratulations on your nomination as well. I hope you’re feeling better soon!! 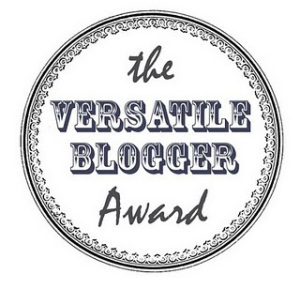 I was so excited when I saw that you had nominated me for The Versatile Blogger Award! You definitely made my day, week, month, and year! And of course I’m looking forward to checking out the blogs you have nominated as many are new to me! Congratulations on your award! I love all your great kid projects and it’s well deserved! Thanks so much for the kind words, and same to you! The feeling’s mutual! I love your blog–your homeschooling journey is really inspiring!